This evening will bring you to what is unique about Ireland, this could be the evening during your trip whereby you unwind and relax in a traditional setting. 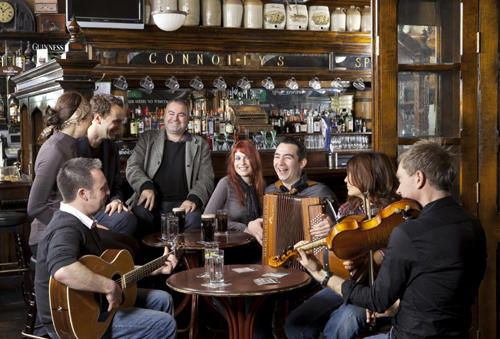 The Guinness will be flowing and the music will be too, as you sit in comfortable Irish surroundings and listen to our Cultural music. Clancy’s pub in Athy is unique and well worth a visit. I will ensure you have a fabulous evening, and show you that there is more to Ireland than Dublin or Kerry and that the Middle of Ireland is every bit as cultured as the rest. I will even buy you the first drink! !